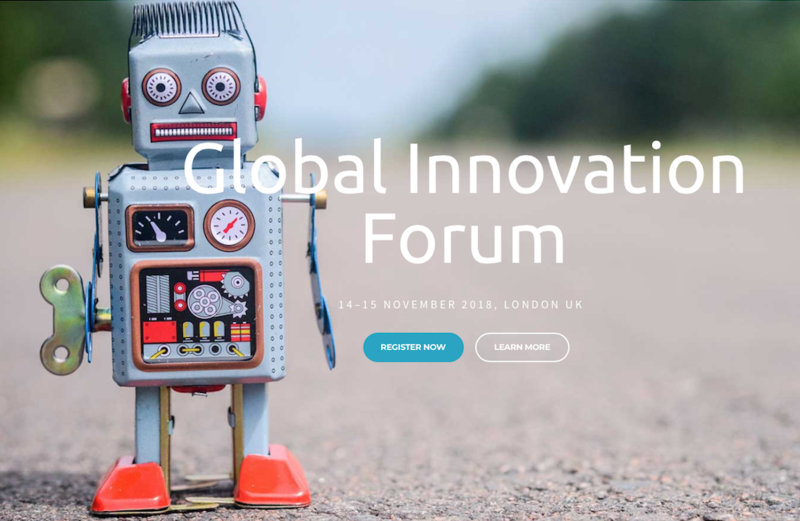 On the second day of GIF London (the Global Innovation Forum conference) last week, the attendees were spellbound whilst also educated by the great Butzi. The magician Butzi entertained us but also highlighted that our job as innovators is to ask questions to constantly challenge the status quo. “This is impossible..…. Unless”, was his catchphrase which perfectly illustrates the role/mantra of an innovator. With the overriding theme of “Be More Human” i.e. connecting technology with human attributes and needs, throughout the two-day conference there were many diverse and fantastic speakers who illustrated their points with examples and personal stories. Thelissa Marques of DBS, the Development Bank of Singapore, told us her first hand story of how she introduced a new digital bank into India overcoming many obstacles along the way. Al Peasland of Roborace introduced us to the concept of racing AI enabled racing cars next year. Cars that have a driver for the first half of the race and then the driver steps out of the cockpit, ‘LeMans’ style, and the AI car takes over the race itself. The first half was for the driver to “teach” the AI car the circuit. Mr. Shafi Ahmed explained how, in his spare time when not operating as a cancer surgeon and appearing on Channel 5’s ‘Live Operation’, he is using VR as a tool to teach surgeons around the world plus mentoring 4 or 5 start ups in the healthcare space. Voom, Team Indus and MTV introduced the concepts of pay as you go city air transportation, literally shooting for the moon and to achieve all this, the need for diversity and what that really means. GIF London is a truly remarkable event with quality presenters and attendees alike from a diverse spectrum of corporations worldwide. This is possibly because it’s held just once a year in London. For one I’ll be there again next year for sure.